These Heavy Duty Deal Jackets are very durable and can handle almost any amount of paperwork. 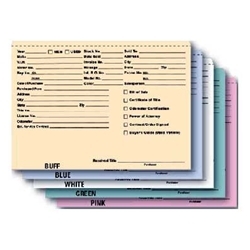 Available in five colors with your choice of printed or blank stock. **Discount price is calculated at check out.